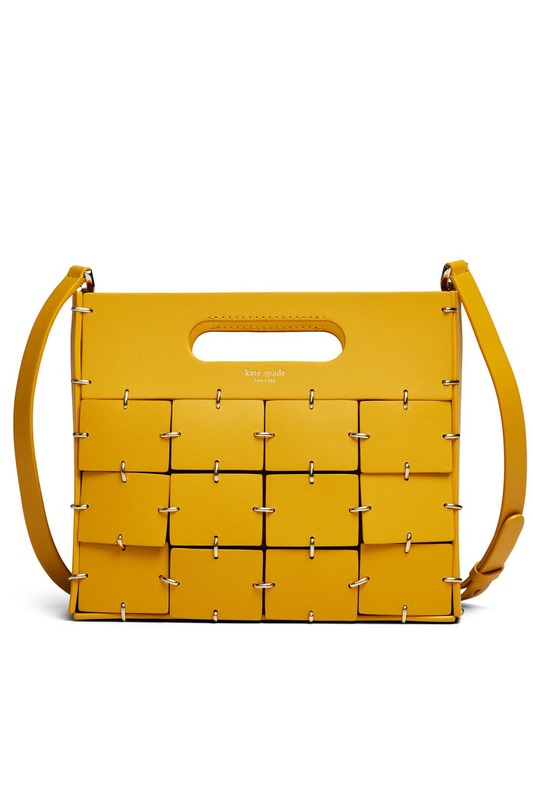 Metallic hardware links squares of canary yellow leather to create this show-stopping satchel bag by kate spade new york accessories. 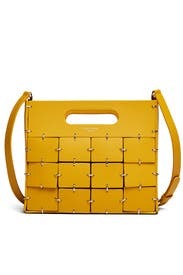 Can be worn as a crossbody or carried by its leather handles. 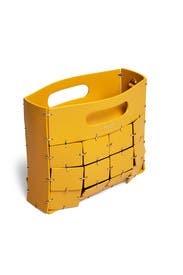 Yellow leather top handle bag with patchwork and metal detailing. Interior slip pocket. 22" adjustable crossbody strap. 8"H x 9.3"W x 2.4"D.